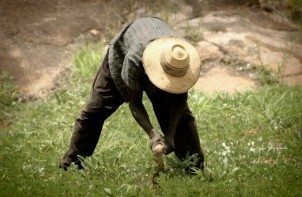 West Africa: allocating land for food sovereignty or for exports? While in the West African region about 35 million people remind undernourished (FAO), dangerous investments in the agricultural sector are threating the environment and further undermining the right to food of the population. Since many years, civil society and in particular farmers’ organizations are calling to invest more in the agricultural sector. Agriculture employs 60% of the regional population and it contributes 35% to the region’s GDP but at the same time poverty is very present in rural areas. In this context it seems to be right to defend investments in the sector, but which kind of investments are needed and which ones are happening? “The food crisis resulting from the increases in world food prices in 2007-08 has demonstrated the need to base food security in West Africa on utilization of the region’s agricultural potential. This option would simultaneously contribute to economic growth and reduction of poverty – which remains the principal cause of hunger- while securing the food supply of ECOWAS Member States and reducing their external dependency”. It might be also interesting to remember that the adoption of the ECOWAP in 2005 after a participatory process, created some kind of hopeful political context as it recognized family farming as the base for sustainable agriculture. At the same time the policy recognized the need to modernize the agricultural sector and the need of the involvement of the private sector. It also recognized the overriding role agriculture plays in the management of natural resources and the conservation of the environment. Taking also into account that demographic expansion is increasing pressure on land demand in the region, natural capital required to produce food (basically land and water) needs to be increasingly available to local farmers. As explained in an interview with a member of the Network of Farmers’ and Agricultural Producers’ Organisations of West Africa (ROPPA), a member of Via Campesina, small scale farmers often need more land to be able to produce enough food for their families and to produce a surplus for selling to cover the basic needs of their family. A study carried out in Mali based on 3000 family farms has showed that 56% of the small scale farmers have access to less than 3 Ha while at the same time the study shows that a family of 8 people needs at least that much to cover the needs of the family. Regional urbanization trend forecasts show that the pressure to produce a bigger food surplus in rural areas will increase if the region wants to base its food security on its own agricultural potential. In a recent study published by GRAIN, “Hungry for land: small farmers feed the world with less than a quarter of all farmland”, there is an urgent call to put land back in hands of small farmers. Yet instead land is ending up in hands of investors through secretly made deals to produce for exports. One example of dangerous investments is the Agricultural land investment deal in Djidja (Benin) which plans to produce ethanol from sugarcane and manioc. 10 000 Ha have been leased to Chinese investors to produce ethanol from manioc for export to China. Other multinationals and elite businessmen from Benin have also leased another 25 000 Ha. According to the social movement Synergie Paysanne, or Synpa, the government is creating a new land law favorable to investors. Another case is the bioethanol project in Makeni, Bombali District, Sierra Leone where Addax Bioenergy Sierra Leone Ltd, subsidiary of Addax & Oryx, a Swiss-based energy corporation acquired lease rights for 50 years (with the possibility of a 21-year extension) to over 15,000 ha of land in Bombali District, Northern Province, Sierra Leone, for a bioethanol operation for export to European markets. On top of food insecurity due to crop damage some of the other visible environmental impacts of the project are biodiversity loss (wildlife, agro-diversity), deforestation and loss of vegetation cover, surface and groundwater pollution. In the EJOLT atlas of environmental justice we already count with more than 15 cases of biomass and land conflicts in this region. Investments in agriculture should help to improve small farms based on sustainable production systems instead of creating big exploitations based on large amounts of chemical inputs harmful for the environment and the local communities. The UN Commission on Trade and Development (UNCTAD) report, titled “Trade and Environment Review 2013: Wake Up Before It’s Too Late”, published last year, focused on the urgent need to shift agriculture from chemically-intensive and corporate-dominated farming methods towards a more sustainable, natural and organic system. Monoculture investments will end up more and more in areas of our world where environmental legislation is softer but land grabbing violates basic human rights and should be made illegal[ii]. As 2014 is the International year of Family Farming, this could be the turn of agriculture towards the right direction. Governments and intergovernmental bodies need to create the right framework to connect regional production and consumption through sustainable (in its three dimensions: environmental, social and economic ) investments in the agricultural sector if they want to protect the environment and to take seriously the 35 million undernourished people currently left behind in West Africa. [i] The Agricultural Policy of the West African States (ECOWAP) was adopted by West African governments in Accra (Ghana in 2005). This policy is one of the first sector-wide policies of the region. [ii] Living beyond our means:Europe must fit within the planetary boundaries and stop land grabbing. EJOLT policy brief.